History is made by Aidan O'Brien as he wins the Investec Derby for the 3rd time in a row. Australia's new Timeform rating is: 129p. That's above average for recent Derby winners with the promise of more to come. 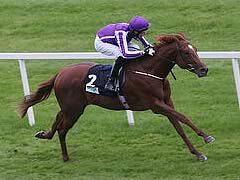 Hot favourite Australia won the Investec Derby to give trainer Aidan O'Brien his fifth success in the great race. The superbly bred son of Galileo and Ouija Board was settled in mid-division by Joseph O'Brien and made smooth progress up towards the leaders as they came down the straight. He hit the front a furlong and a half out and looked about to pull well clear, but Kingston Hill put in a persistent challenge and there was a length and a quarter in it at the line, with Romsdal a further three and a quarter lengths away in third. The placed horses from the Dante Stakes, Arod and True Story, were just behind the main protagonists, with Red Galileo running a massive race, too. The major disappointment was the winner's stablemate Geoffrey Chaucer, who was tailed off. 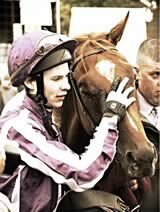 Winning rider O'Brien said: "I had a grand position and was going very easily coming down hill, nearly too easy. I was cantering all the way - I got there too soon, but I had to stay going when I did. Horses don't come easier to ride than this fellow - he's the best (I've ridden)." O'Brien snr added: "We're in a very privileged position to have the horses we have, so it's thanks to everybody. There are so many people involved just to get him to this position. "Joseph had it in his mind where he wanted to be all the time, to keep it uncomplicated and safe and that is what he did - he gave him a beautiful ride. "We said what we thought (about him being the best Flat horse O'Brien has trained). Maybe it is best to say nothing, but we've always thought he was very special - the way he is bred makes him very special. The way he travelled through the race he must be very special. "We're going through a tricky time with our horses back home, they were very sick in the spring and they all had to get medicated. It was tricky training them after that, some were slower to respond. "The lads (Coolmore) will speak about targets. He has a lot of options because he has a lot of pace, anything from a mile up." 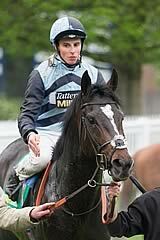 Roger Varian, trainer of the second Kingston Hill, said: “I’m very proud of the horse. He did nothing wrong. It was an impressive run that was full of promise. He’s back to his two-year-old form and we hope he comes out of this well then we have a lot to look forward to. John Gosden said of third Romsdal: “He has run a great race. I couldn’t be happier with him. He is a hugely talented horse and was doing his best work at the end. It was bold to supplement him for the race but we’ve won some money. He stayed on well and he has real stamina. It’s likely to be go to the Ladbrokes St. Leger. John Gosden said of sixth-home Western Hymn: “He has run well, he was in a nice position but I feel he will be more suited by a conventional track. He got slightly bustled during the race but that’s the Derby. It was a super race and the right horse won.